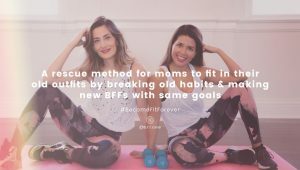 Become Fit Forever is a rescue method for moms to fit into their old outfits by breaking old habits while making new BFFs with same goals. Kausar and Dougmary launched BFF to help other moms reach their fitness goals. BFF offers classes at convenient timing and locations. To offer more accountability they offer Slim down method, to help everyone stay connected and accountable throughout the weeks.